His early years as a convert to the Mormon church. His original motives for starting his podcast, Mormon Discussion. The most significant contributing factors to his Mormon faith transition. His evolution as a podcaster, which includes becoming increasingly frustrated with, and critical of the LDS church, its policies, and its leadership. His current Mormon beliefs and non-beliefs. His motives for remaining active in the LDS church. His responses to recent criticisms of his positions. His perspective on the possible threat of excommunication. Wow, loved this interview! Thank you, Bill and John. Your tenacity and character are a gift to the Mormon community–across the spectrum. The bridge building occurring in the Open Stories Foundation this year has been impressive. Bill, thanks for being willing to do this interview! It was great! I left the Church over 2 years ago and have mostly processed my exit at this point and will likely never return. I’m also a regular over at r/exmormon and I followed your recent AMA and was impressed with it. 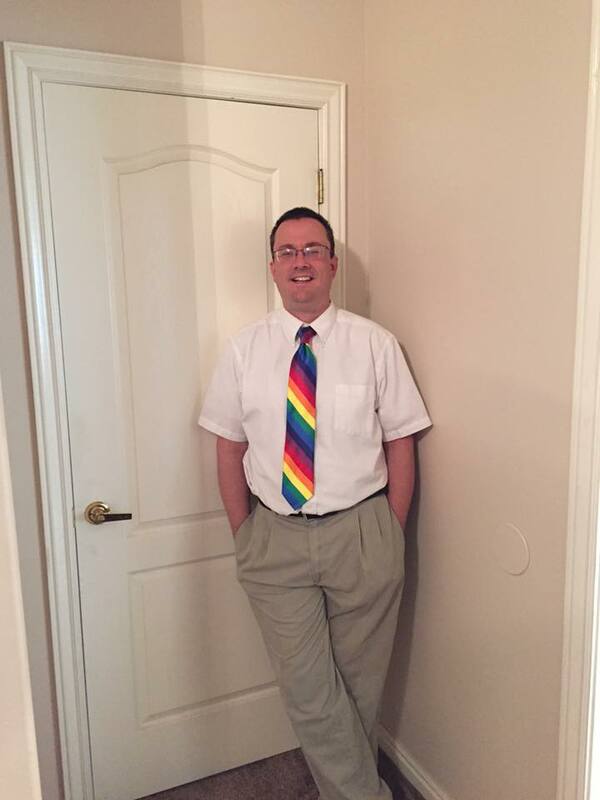 I know a lot of us post-Mo’s can be aggressive or dismissive toward you, but I feel compelled to say that I’m super impressed with your approach to things and that if the Church had been full of people like you 2 years ago there’s a chance I’d still be Mormon. I think your legitimacy stems from your fearlessness about the tough questions and your willingness to admit the utter messiness of Church history without needing to minimize it. I also think your legitimacy rests in the fact that you’re just a normal guy who’s willing to stick his neck out. Folks like Givens and Mason and Bushman all preach a message that shares a lot of overlap with yours but it’s difficult to take them seriously since it’s clear that their academic and professional standing is built in large part on their respective identities as believing Mormon academics. In contrast, you’re just a “regular guy” who has no real professional incentive to stick with the Church (and are thus arguably much more honest about your approach to the Church). Like most post-Mo’s, I don’t have a lot of faith in the ability of people to change the Church “from within.” Despite that, I’m rooting for you and genuinely think you’re doing great work. Keep it up! Great interview! John, you did an amazing job not sugar coating the questions. I’m sure it felt like you were badgering him a bunch, and you were, lol. But this is how you open them up to see how they tick. People like that. You’re great at getting almost all the angles you could think of; believing perspective, doubting, critical, caring. I feel like you hit every major perspectiv! I do have to say having followed John’s story and faith transition, Bill, you’re on the same path as him. I know that everyone’s unique, and your situation is unique to John’s, but you share many of the same milestones as him. You started out with a faith-promoting podcast, and now you’re more towards presenting the issues in a much more objective viewpoint. You want to do good in the church and be that advocate for the doubter, for the closet LGBT youth, and at this stage, go for it! But John’s been there, done that. At some point you’re going to get frustrated that the change isn’t being made, the leadership is too lethargic to get up and act. I already hear it in your rhetoric when you’re talking about the real issues. John when through that same transition. The parrallels are undeniable, and I already see the end result, even though the exact path you take may be different than John. At some point the leadership will not want you in their ranks, and they will expel you out of their ranks if you haven’t already done it yourself. Many others share the same feelings as me. Nevertheless, I love what you do Bill. Keep it up! I’m going to avoid a bandwagon and say I was very frustrated with this interview. It felt that John was giving no room for nuance and basically conducting a temple recommend interview. He sounded irritated with Bill’s answers, like he wanted yesses and no’s to very complex issues. I guess I feel somewhat empathetic to Bill because my history is so similar to his (BTW, I’d love to talk sometime, Bill). But seriously, why are so many painting a black and white world for Bill? It’s doing the same thing the church does. Why a black & white world? It’s tough for someone immersed in the mormon church. For some, not all. If you’re not a mormon, it is black & white. There were no gold plates. There Native Americans didn’t arrive here from the middle east. Joseph Smith made it up. If you want anything from mormonism to survive, it’s imperative that you make sure its not black and white because the claims of mormonism are false. So, if you acknowledge that its false, mormonism vanishes. Keeping mormonism alive becomes an exercise in tortured reasoning . . . . And nobody on the planet would buy the tortured reasoning except a mormon struggling to hang on to the book of mormon or mormon doctrine or Joseph Smith. But, Bill Reel (Givens, etc.) are a stepping stone for those who aren’t quite ready to acknowledge mormonism simply isn’t true. It’s false. They give mormons a safe place to begin to acknowledge that mormon doctrine and mormon truth claims aren’t what they claim – and once that journey begins it usually ends it accepting the black & white answer. Bill, thank you for this interview. Speaking out is never easy, but even imperfect speech is better than silence. Who knows if or when the Church will become more inclusive. Yet, I’m grateful that you are willing to stand up and work towards a better faith community for us all. Thank you both. John, you and Lindsay were my voice when I had none. Bill, I was able to share some of your earlier podcasts with some beloved TBM’s, and I am hoping that they have been running with some of them and that you are on some radars. out there. Nobody has said one word of validation to me since I left the tribe in November 2015. The pain is real. So are you Bill. Some of the questions may sound brutal, but I think all listening (John too!) understand how tender the feelings are, and how they cannot be cast in stone until everything settles down. Which may be never. Don’t feel bad Bill. It wasn’t that long ago that John Dehlin was standing up tearfully giving his testimony. I watched or listened to the tape. It was mind-blower. I must say, Bill, that I don’t think you can do this for too long. Can you imagine holding this position for another thirty years? I mean, you might “hope” you can, but would you really want to go through the tortured logic for the rest of your life? “Worm on a hook” implies John was a victim, unwillingly pierced as bait. John chose that position. Why does Bill choose his? Who used the term “worm on a hook” first? btw, I’ve been a “worm on a hook” many times in my life – though not on a religious hook . . . . . Thanks Bill for a really interesting interview, l do feel that with the knowledge and understanding that the church truth claims really are not true and that joseph went by inspiration of a sort more than by revelation that it takes an awful lot of mental gymnastics to arrive at any feasible explanation as to why its worthwhile to stay in the church because they will not face up to their falsehoods and the fact that the church over all does do more harm than good because of false doctrines and the hurts and lies that existed from the beginning of the church really have a domino effect on members as the years go by some for the better and some for the much worse in some many doctrinal ways, thanks bill for voicing your opinion, all the very best to you. This “interview” feels more like an “interrogation.” It even seems like Bill is putting on trial at times. I am a fan of John Dehlin, but there is an undercurrent in his line of questioning. What’s really going on here? Part may have been the time constraint. It’s too bad this couldn’t have been a 4 part interview. In fact, I kept checking the countdown timer sad to see the time slipping away. IMO, both Bill and John are incredible communicators. On Twitter, Quit Mormon indicates about 150 formally leaving each week. I think this is stunning because of the quality of those leaving. Bill and John are so dang interesting and smart and IMO, the two are paving a huge lane for thoughtful and truth seeking members to leave. Here’s my 2 cents. First we’re all on our own spiritual paths . Bills’s may be like or not like ours but he’s entitled to it. Let’s not be do narrow minddd as we were when we were Mormons. and insist that he must come to the same conclusions as we did. Also as podcasters faith evolves many lose interest in doing podcasts especially if they’re not making any money .John Larsen has moved on is not interested in Mormonism and doesn’t podcast about it anymore. So as more and more Mormons become aware of the issues people like Bill step up. Who knows someday he will be moving on too. But his faith journey is his own business and let’s cut him some slack on that. Anyways, its not a huge mystery. Bill directly answered many questions. And, for the questions that he didn’t answer directly, he explicitly explained that he couldn’t answer those questions directly because it could be problematic. It’s not too hard to fill in the blanks. It seems to me that people like Bill and what he’s doing. I do. Well said. This is my first time hearing him and I’m very impressed. Maybe I’ll move my monthly contribution to Bill’s podcast instead of Johns. Kidding John, I probably need to up my contribution. Thanks for all, you do. Interesting and enlightening interview. I agree with some of the other comments that were written about Bill and his “indefinite” relationship with the Church. He will eventually get frustrated with it’s leaders and leave…or be excommunicated for his “apostate” opinions. What I find interesting about many people who are halfway in/out of the church is their hope and faith that if the Church would just allow this, admit to that, change something, then everything will be okay and the LDS Church is true; thus the LDS faith does indeed have prophets, seers and revelators. The Church is basically black and white in substance. Occasionally, they break from that as they did when allowing blacks (under immense pressure) to hold the priesthood. But, by and large, they don’t change. They excommunicate and /or shun. They don’t know what else to do with members who have “expanded” opinions on matters of doctrine or church history. Yes, the Church is messy. VERY messy! Whether they admit to any or all the errors of their contradictory and convoluted history and doctrine is really of little consequence. You can’t make something true if it isn’t already, no matter how much your heart petitions you to try and make it so. Ugh. If I have to hear Bill talk one more time about how “beautiful” or “special” the church is to him and about all the inspiration he still gets from it I think I’ll barf. Move on Dude. I get that you painted yourself into a corner promoting the middle way with your podcast, but you’re simply lying to yourself at this point. Move on to the next stage already and stop “inspiring” others to remain stuck in this morass. Sure, some people are thanking you but they didn’t need you and probably would have moved on quicker if it wasn’t for you. Be careful with the “98% positive feedback” you say you’re getting. That’s not a fair satistical survey of the people you’ve affected. I agree with Min-shaftsays 100 percent from above. This was an interesting interview but all I could think about was how he was “trying to say something” but couldn’t actually say it for fear of crossing the line and “getting in trouble”. Doesn’t that speak volumes? It sure is obvious to an outsider listening. I agree that a lot of people have discovered the truth and are hurt – want out of the pretend fairytale written by Joseph – and is only stuck and more confused listening to mental gymnastics. It is pretty obvious that Bill does not believe much about the church but doesn’t want to give up the social aspect/community. To me, it’s sad that the church PROMOTES this exclusive attitude. Why not love and except everyone even if they don’t believe in the LDS church? I think that was the whole point of Christianity and Jesus- love everyone no matter what. The problem is that Mormons know that once they leave the cult, that will not happen, they will be shunned. LDS members become “nervous” when people leave the church and instead of remaining friends, they shun them for fear that their isolated little world may get rocked. They claim that they are open to new information but that is not the case at all! They can come knocking on doors as missionaries but as soon as you ask a valid question that they have no answer, they are offended and you are anti-Mormon. Craziness. There is a difference between being anti-Mormon and actually seeking the truth. Ugh. You don’t have to listen Min! I am grateful for Bill and for what he is doing. I am one of the 98%. His podcast has been a great help to me. Maybe you could grow up and learn to treat others with some consideration and respect. If listening to views that differ from your own makes you sick, then don’t listen. Thanks for the great interview Bill and John! Love your tie, Bill, and the openness of your interview. I learned a lot from it. Paying on surplus may have been the pinnacle. Now….I invite you to join me and 440 others in living the Law of Common Consent. My oldest daughter, who is TBM, recently termed my view of the church as “Advanced Mormonism.” She completely supports my votes of disapproval. But, more of us need to be engaged. It is our right and obligation to actively participate in the governance of the church. You have a voice. I encourage you to use it to advocate for common consent. Thanks much for this stellar interview. I found a new understanding of his idea of speaking for us “little guys”. It’s impressive the line he’s trying to walk, at great personal cost. Those of you who get a chance to hear “The Wrong Road” on Mormon Discussion Podcast will be so entertained..informed..with great laughter. I know this anonymous person and he is just great! !